Excellent! Super qualité, utilisation intensive tous les jours par toute la famille ! Parts for safety enclosure There are 167 products. Change the net on your round 2.44 m in diameter trampoline, to avoid any falls. 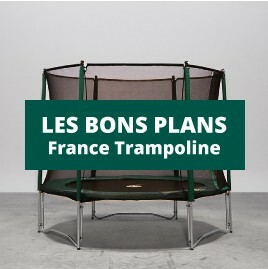 Replace the net on your round trampoline of 3.05 m in diameter. Spare 15ft safety net for 4.60 m trampoline with 10 posts. Premium replacement netting for even safer trampolining! Safety enclosure from 180 trampoline. Cheap replacement netting for Oxygen 250 trampoline. Spare safety enclosure net for round 2.44m trampoline. Replacement net for your 3.05m trampoline's safety enclosure.